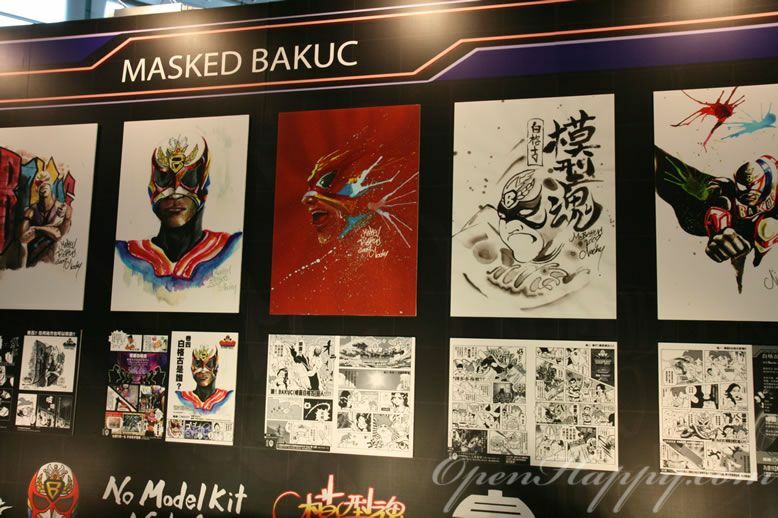 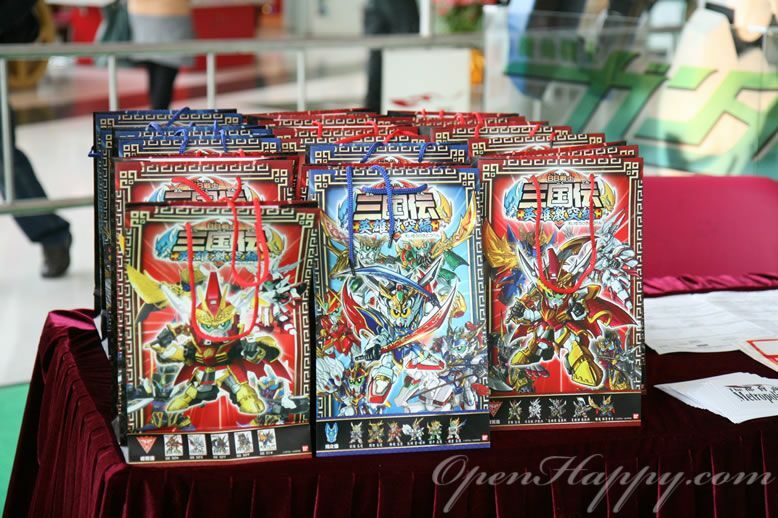 By the way, Bandai gives a media gift for everyone who is from the press. 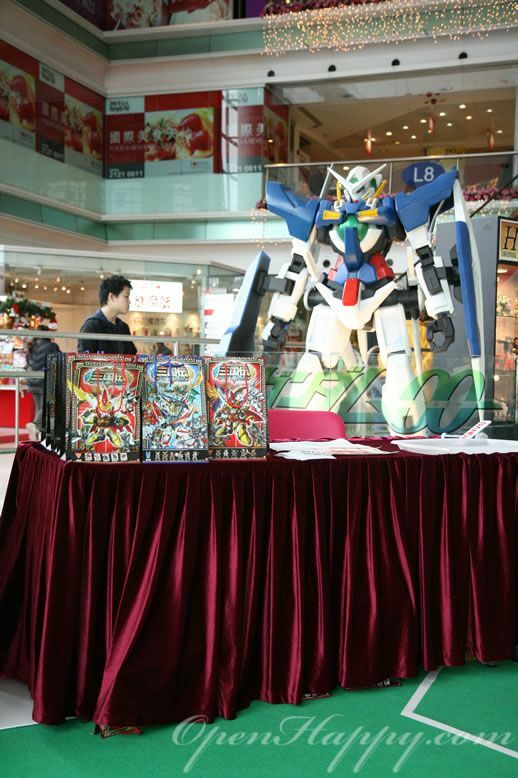 It is basically a special edition of BB gundam unboxed in a nice gift bag. 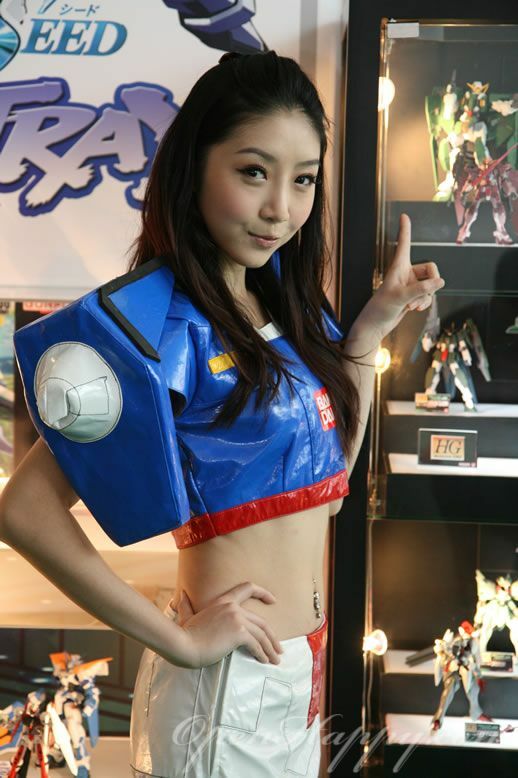 I will have another post for the content later. 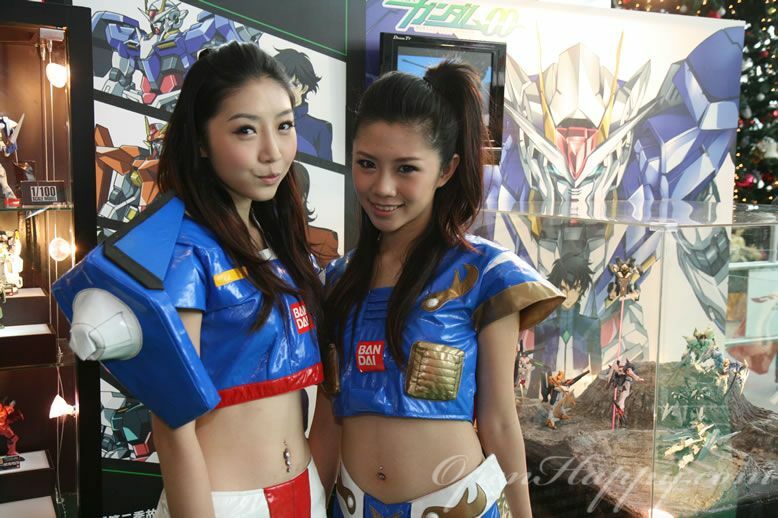 More cute shoots for the image girls. 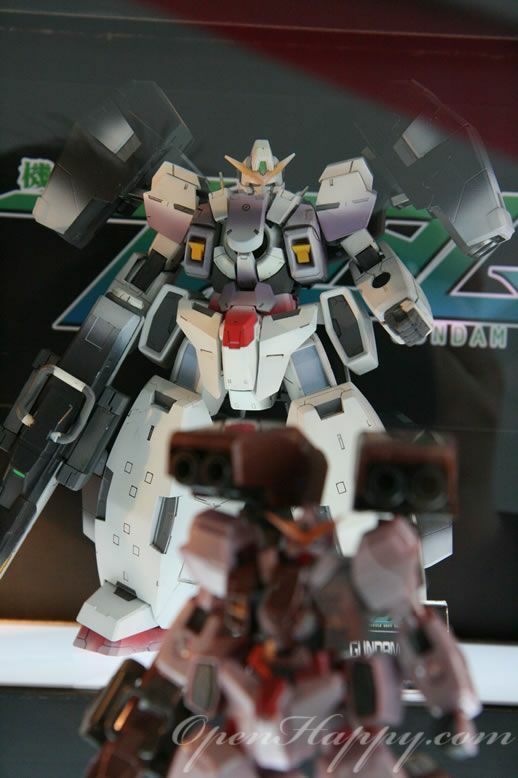 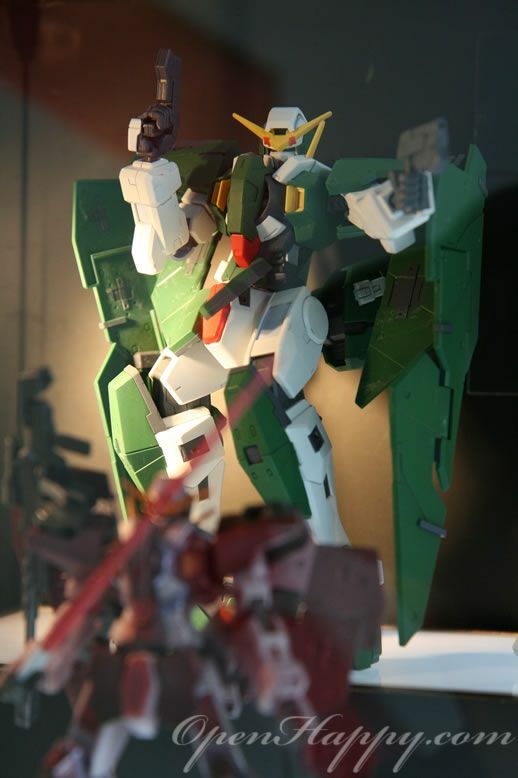 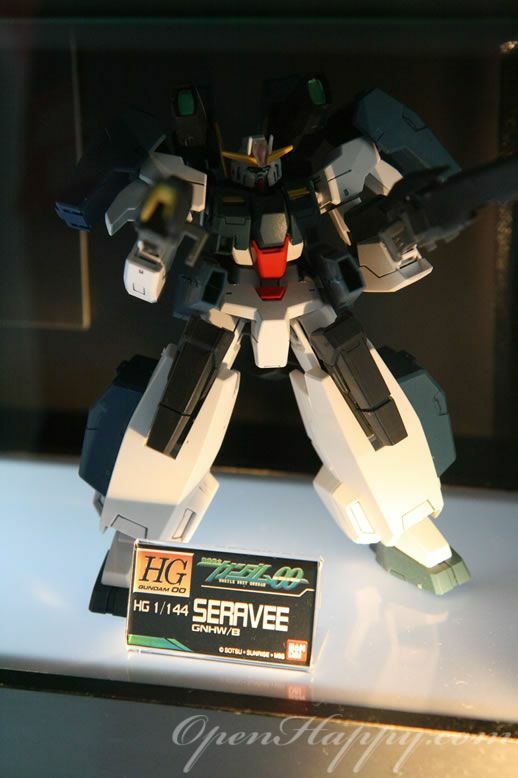 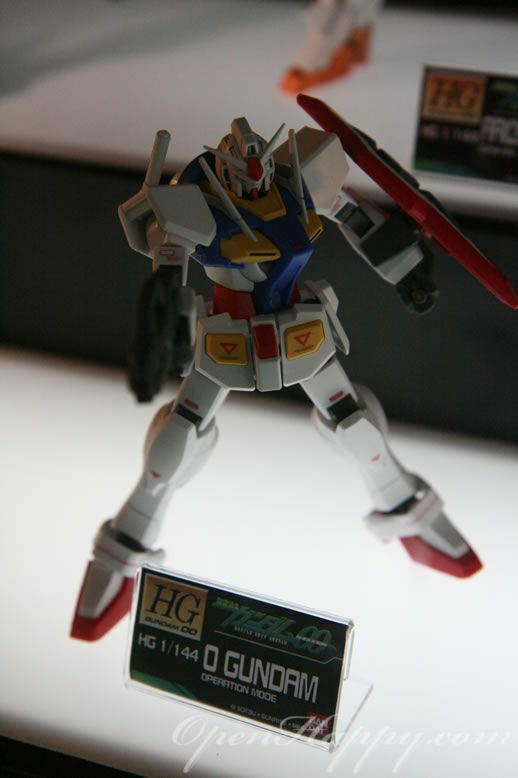 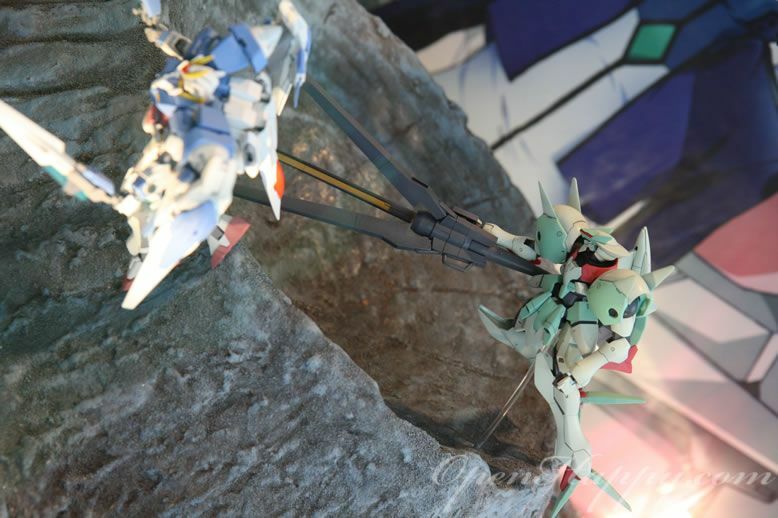 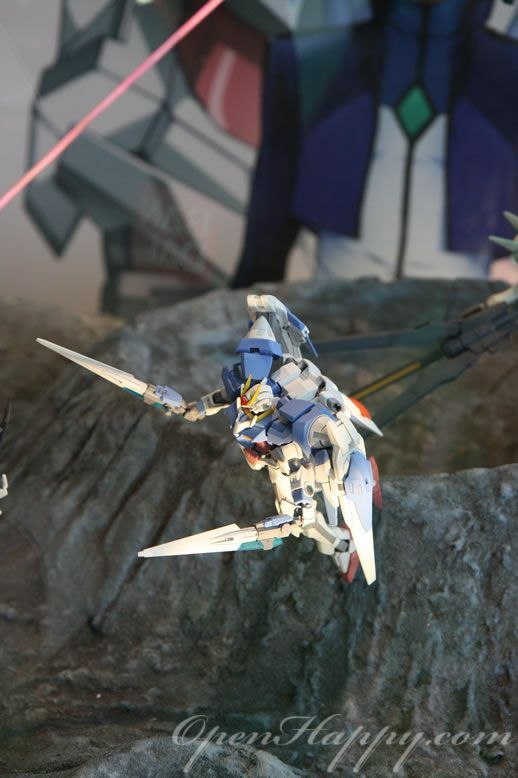 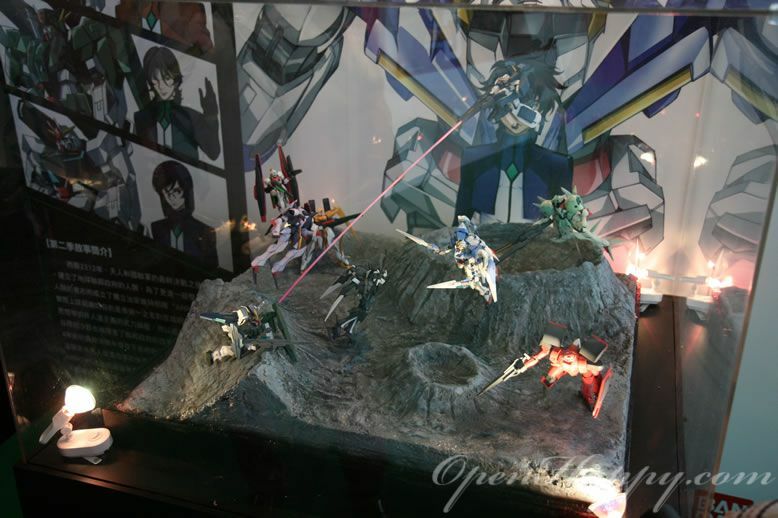 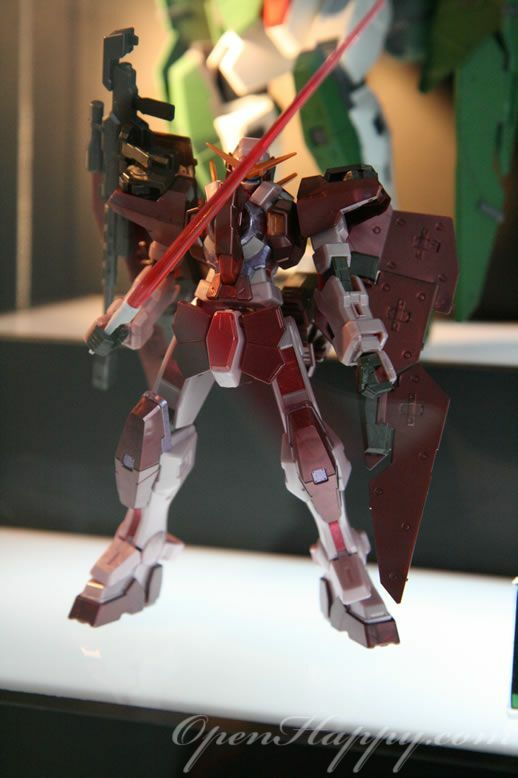 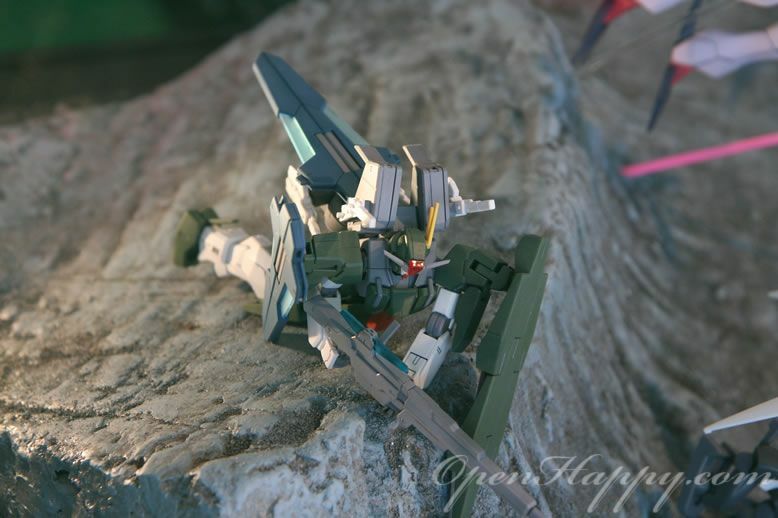 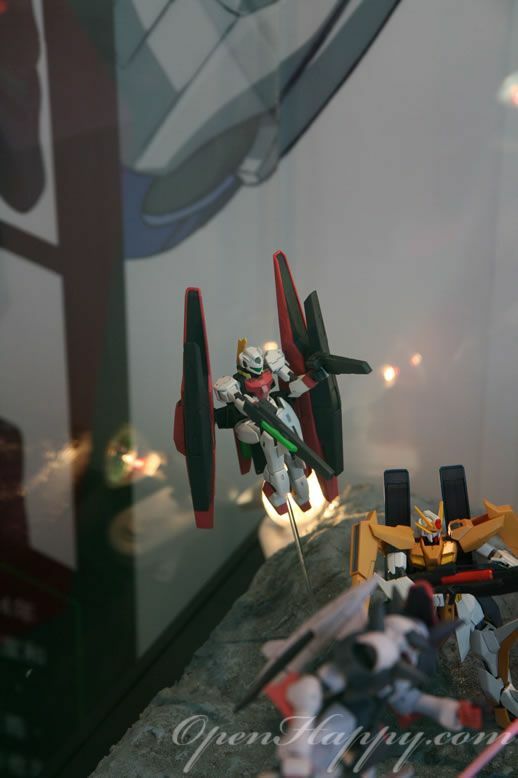 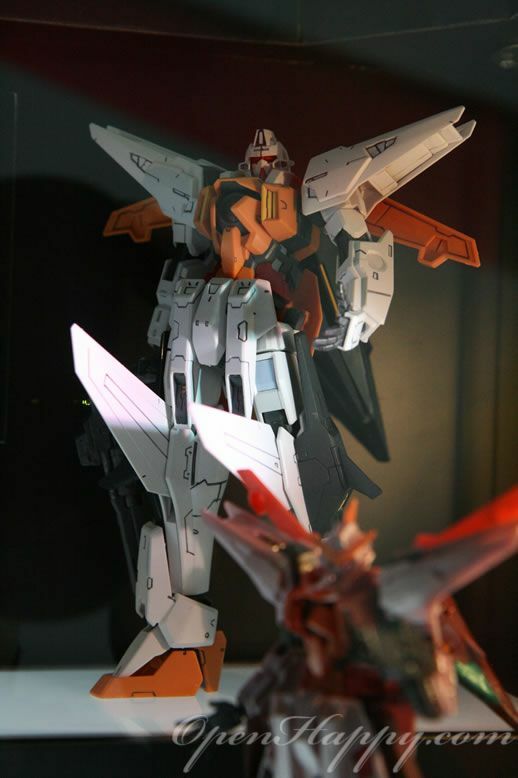 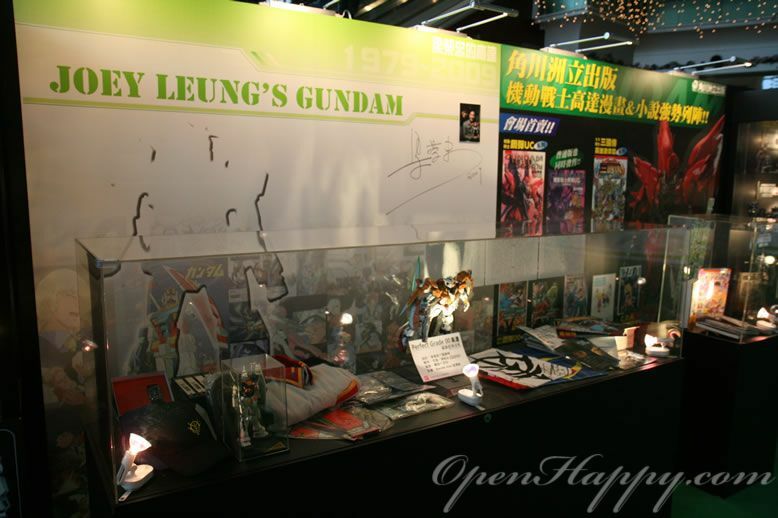 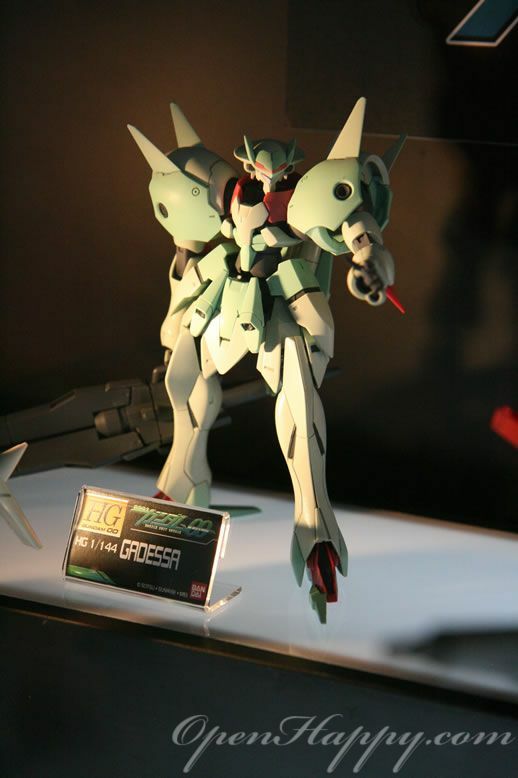 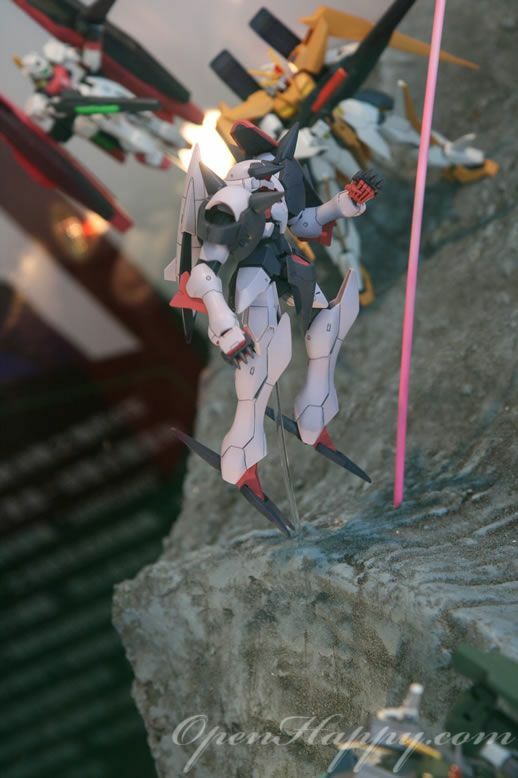 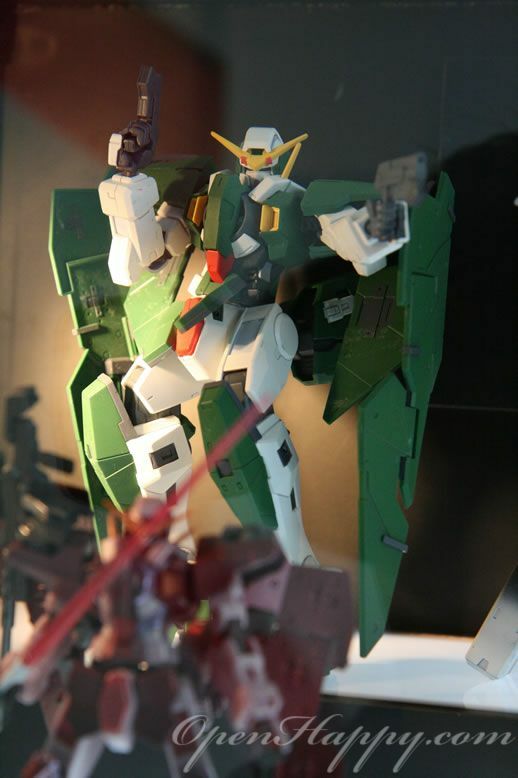 Here is a nice gundam 00 diorama on display. 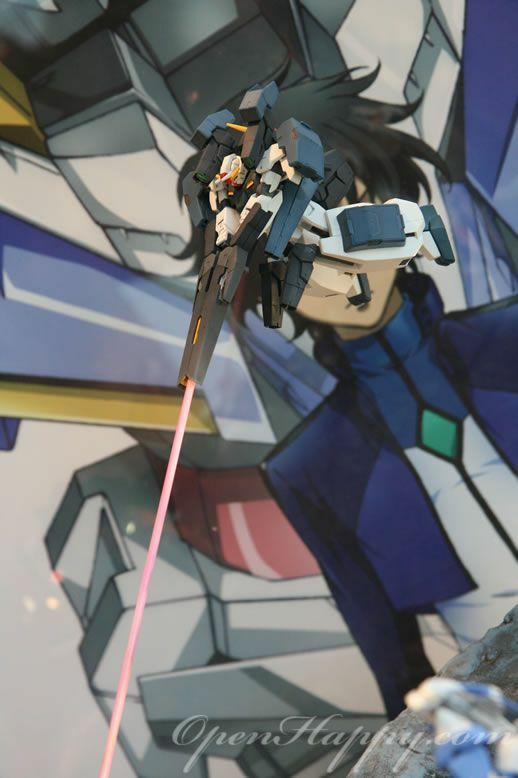 But beam is a little narrow, but I guess it is ok.
Is this the one from first season or the movie version? 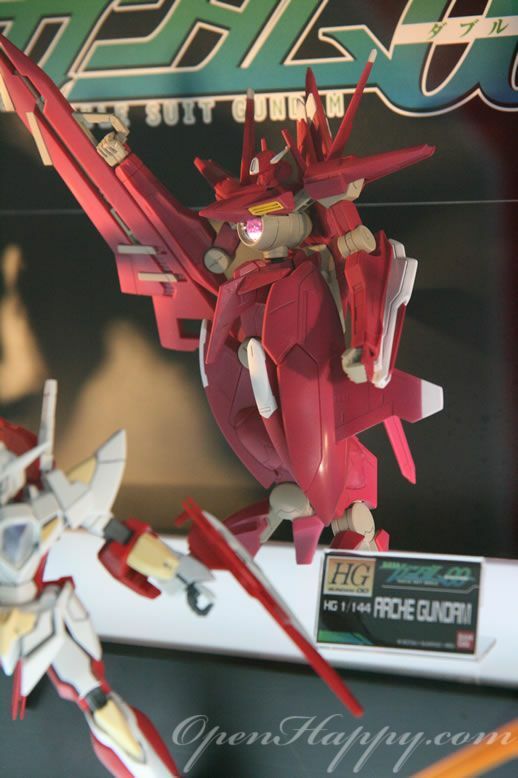 The body front looks a little different. 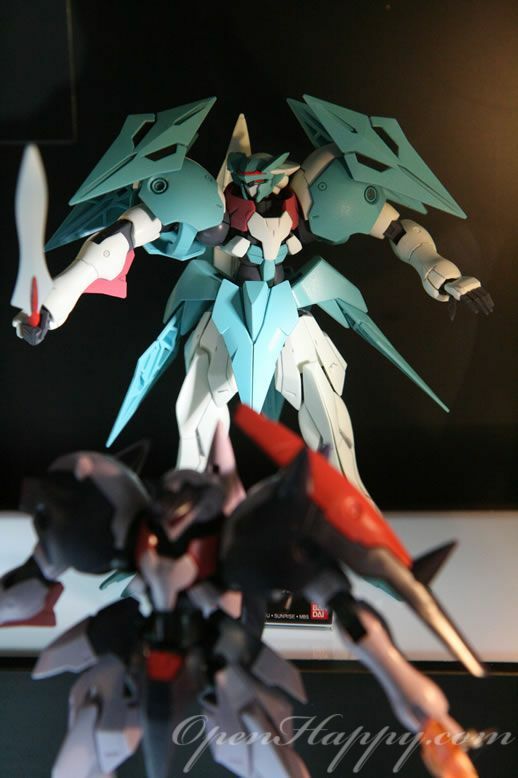 All the trans m versions are also here. 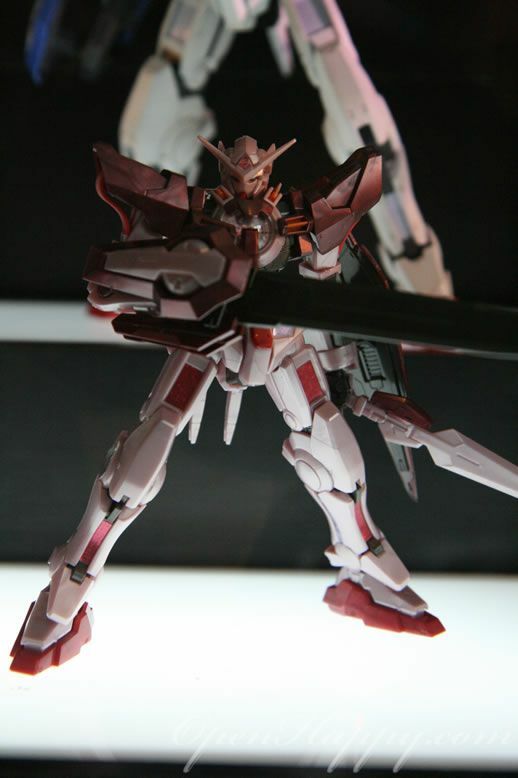 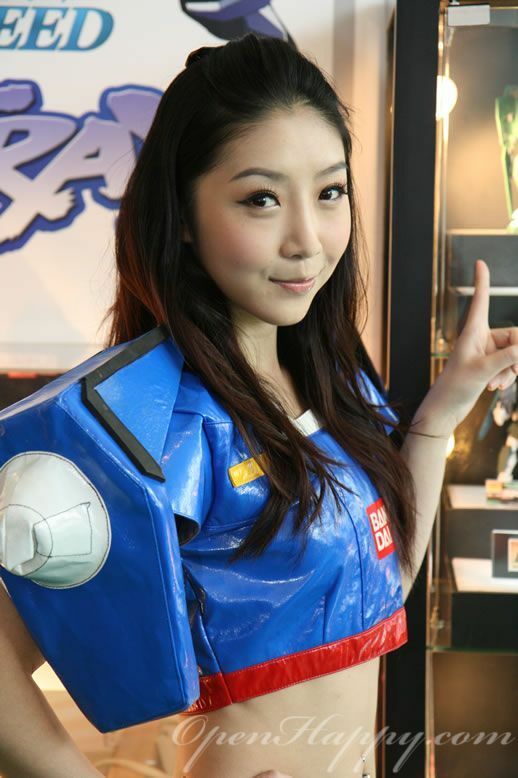 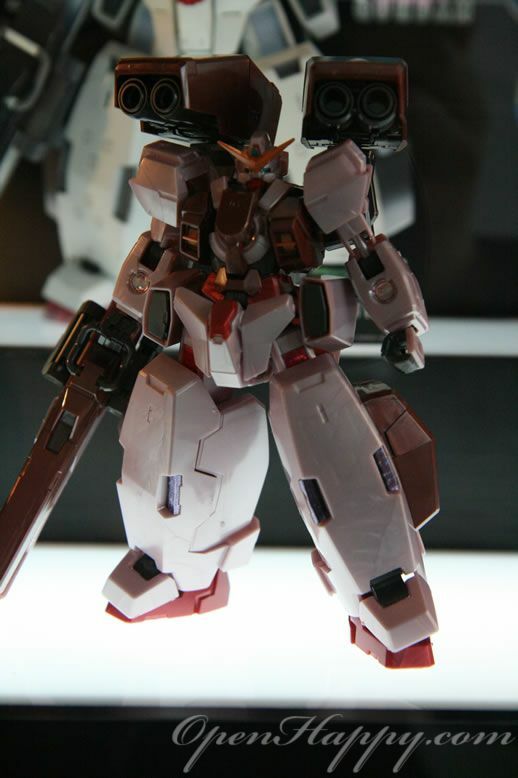 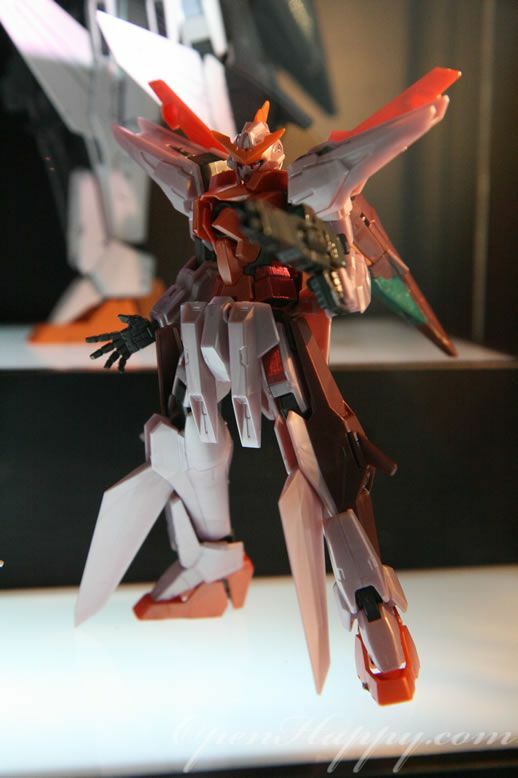 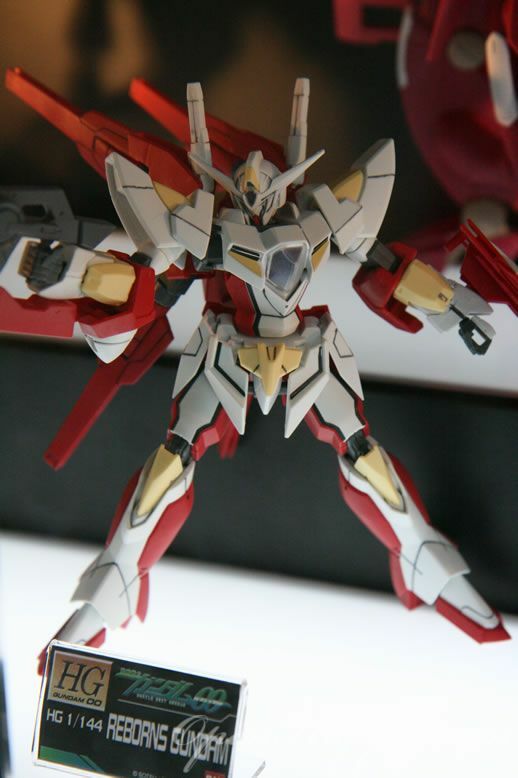 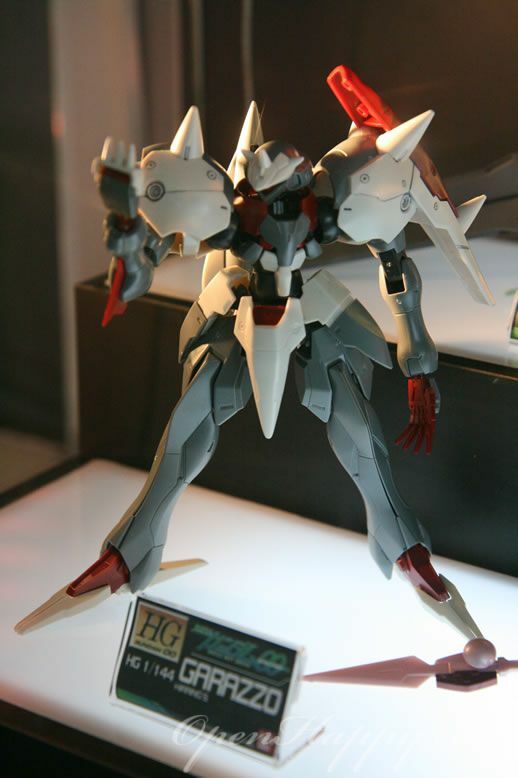 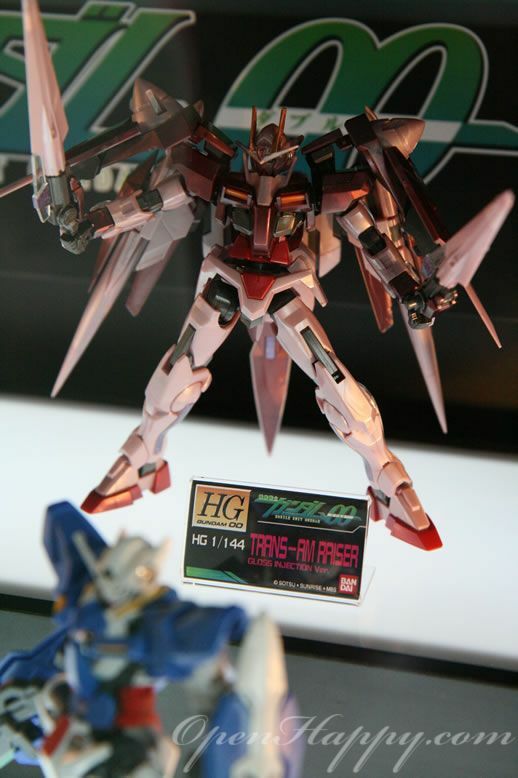 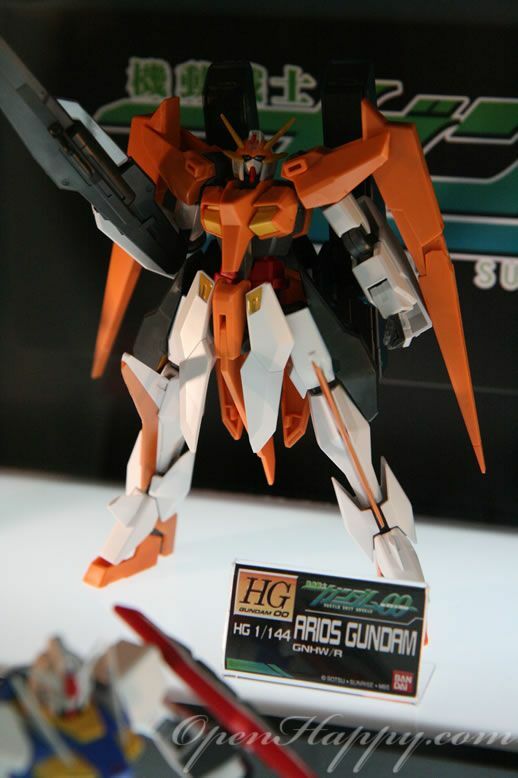 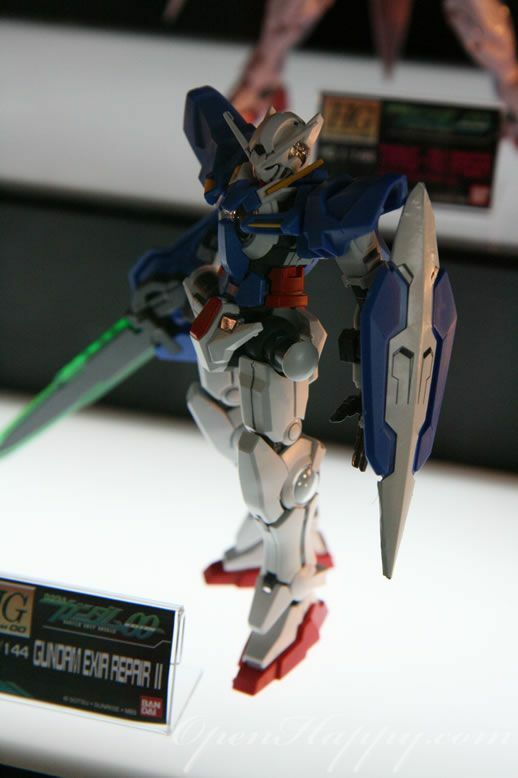 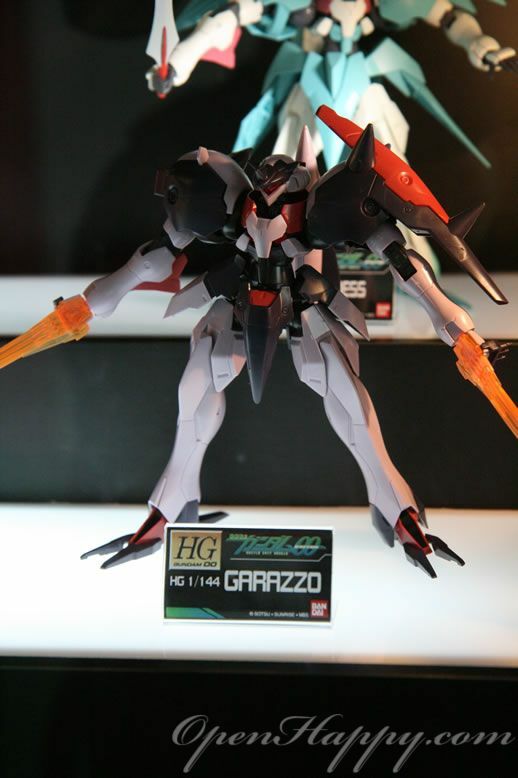 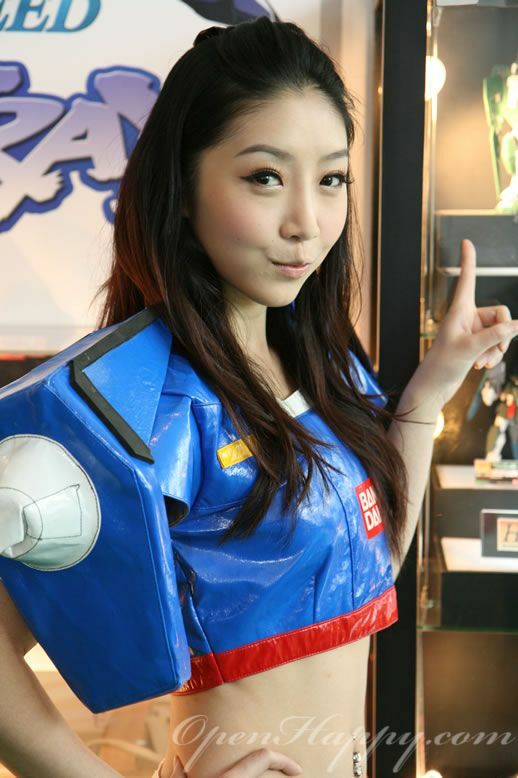 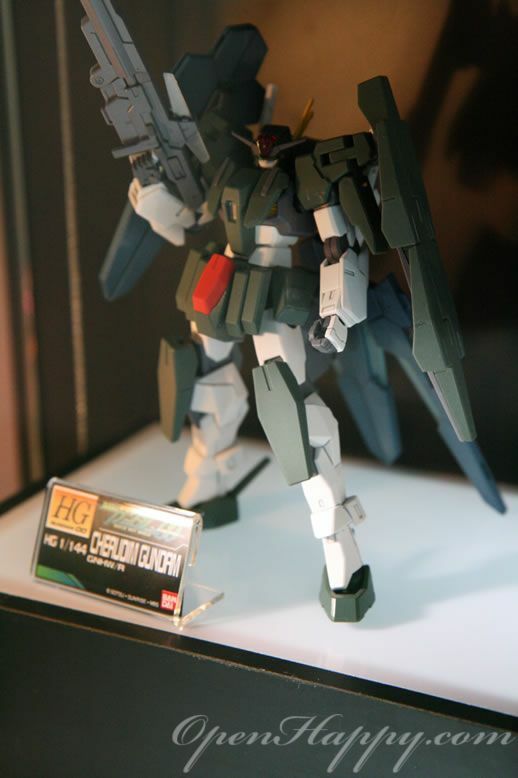 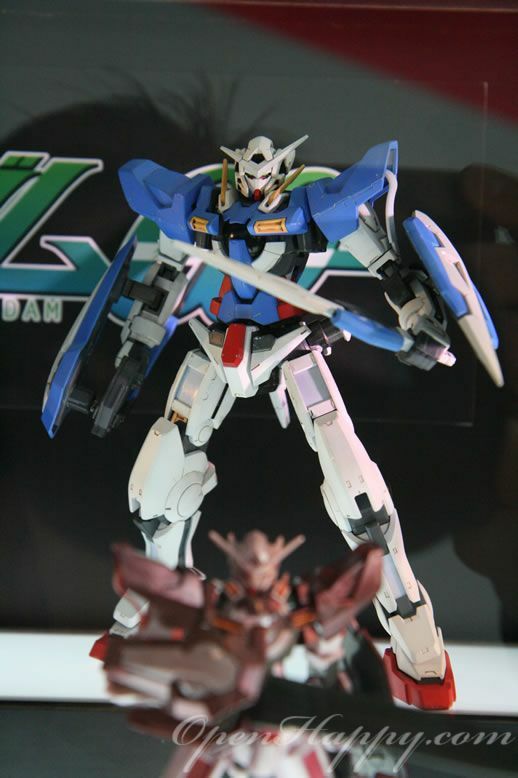 Reborn gundam is also here.